Z-Man Chatterbait Original Elite Lure Series. 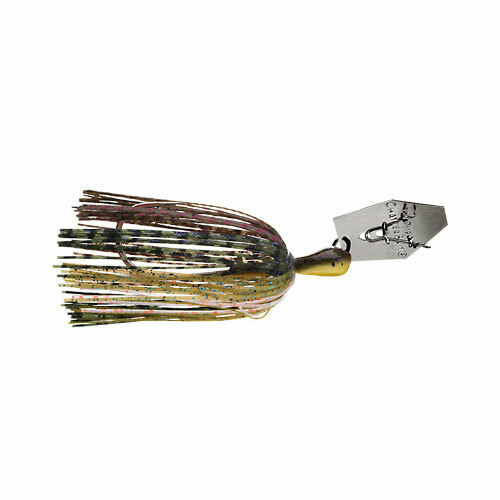 Based on the original chatterbait design, this upgraded design features custom head paint schemes and blade finishes to match the skirt precisely. 5/0 Gamakatsu hook, molded-in trailer keeper and strengthened head-to-blade connection work together to create an improved lure that's irresistable to fish. Assorted colors available.